In my previous blog I talked about the new getting started process for Kinetis FRDM-K64F development board. Here I am with my next blog going one step further and introducing you to the target application that I have planned for this summer using the awesome FRDM K-64 development board from Freescale. I am planning to work on some really cool stuff that we can do from this board. And I came up with an idea for making an Adafruit NeoPixel NeoMatrix Signboard!! Wait….does it sound boring to you? Nah… we are not planning some ordinary signboard. 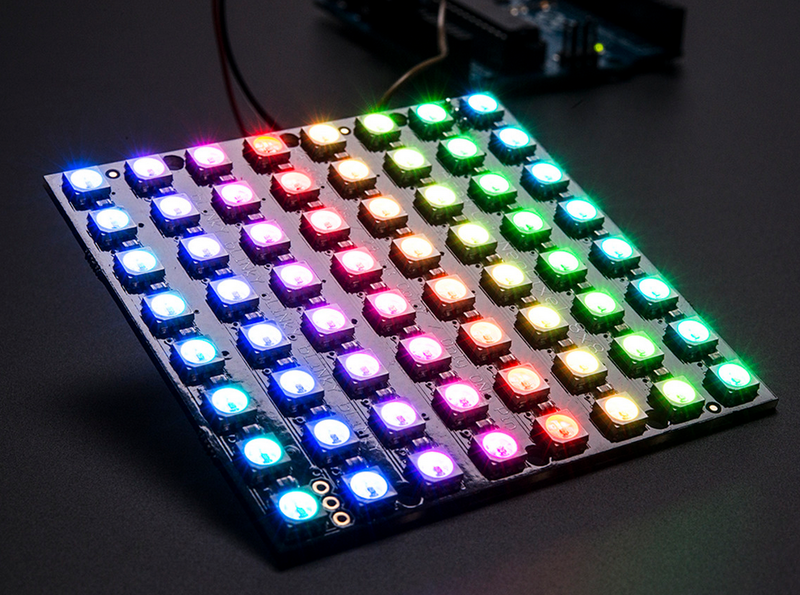 This Adafruit NeoPixel NeoMatrix signboard is really cool. It will display what you want to display and it will change the displayed text with just the movement of your hand. Sounds interesting now?? It is a pocket-sized Persistence of Vision wand, perfect for making light effects on the go. It uses Freescale’s MK20 Processor and is an awesome thing to play with. For our application, we will target the accelerometer, which is integrated on the FRDM-K64F board already!! 🙂 and will try to use it as a switch for the text to be displayed on the neopixel matrix. We will do some programming as well which will be required for this task. The getting started process for FRDM-K64F provided us with the Kinetis Software Development Kit and the Kinetis Design Studio which will turn out to be of immense importance in this project. I will be covering topics that will help you all understand the basic concepts of low power, clocking, ADC and many other topics with the help of the FRDM-K64 development board. This entry was posted in ARM, Boards, CPU's, Embedded, FRDM-K64F120M, Freescale, KDS, Kinetis, Manya's Diary, SDK and tagged FRDM-K64F, freedom board, Freescale, KL25Z Freedom Board, software project by manya19. Bookmark the permalink. Manya, Your project sounds great! 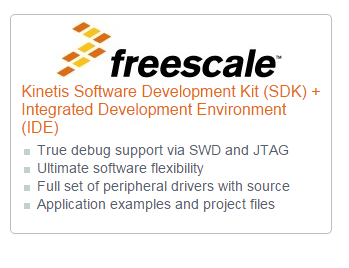 Have you heard about ISF (The Intelligent Sensing Framework) from Freescale? ISF for Kinetis is a set of add-on Processor Expert Components that allows you to quickly configure a sensor (like the FXOS8700 on the FRDM-K64F) and generate code to receive sensor data at the configured rate. I wondered if you might be using that for your project. These posts describe some of the timing aspects of the WS2812, plus the need for fast level shifters. As for the 8×8 WS2812 matrix boards: I’m using several of these already with the FRDM-KL25Z, using that shield presented in the last post. If not already started, I recommend that you start with a good 5V Power supply, a fast 3.3V to 5V Level shifter (see article above) and some breadboarding to interface the FRDM-K64F with the NeoPixels. That way you can see how the wiring is with level shifter.